Foreign Minister Taro Kono is planning to visit China, possibly in late March, to discuss bilateral cooperation on economic and other issues, diplomatic sources said Thursday, in a sign of improving relations between the two countries. 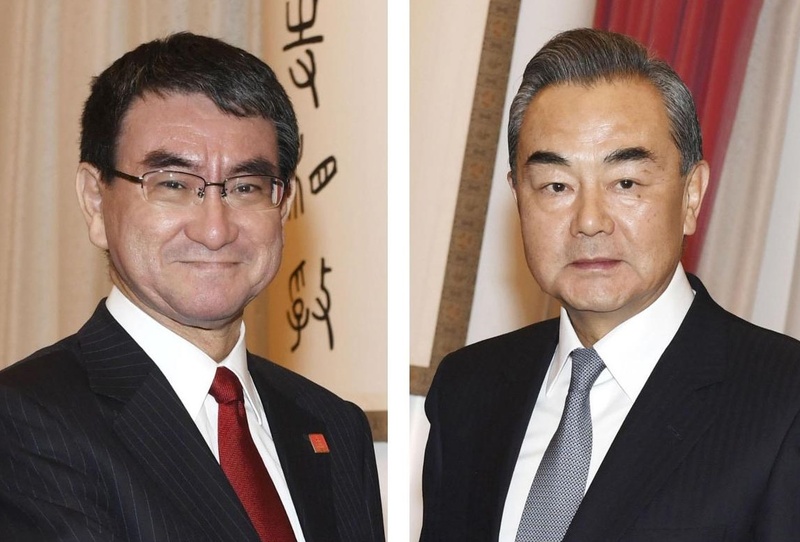 Kono is expected to meet with Foreign Minister Wang Yi and other Chinese officials during a trip that could accelerate preparations for reciprocal visits by their leaders, the sources said. The two governments are looking to hold a fresh round of high-level economic talks on the occasion of Kono’s visit. Tokyo hopes Chinese President Xi Jinping will visit Japan twice this year — first for the Group of 20 summit in Osaka in June and then as a state guest in the fall. Last year Prime Minister Shinzo Abe became the first Japanese leader to make an official visit to China in nearly seven years. He is expected to visit the country again by the end of the year, for a trilateral summit with South Korea that will be hosted by Beijing. While remaining at loggerheads over a territorial row and wartime history issues, Japan and China have seen an improvement in their relations recently as Beijing’s ties with the United States have deteriorated over trade issues. Kono and Wang are expected to discuss issues of bilateral and regional concerns, including the joint development of a gas field in the East China Sea and the full implementation of U.N. sanctions against North Korea to ensure Pyongyang denuclearizes. Tokyo and Beijing have been at odds over the Japan-administered Senkaku Islands in the East China Sea, which are claimed by Beijing. Japan has protested to China over its dispatch of drilling ships to the sea and unilateral development activity in the area. At the economic dialogue, ministers and officials from the two countries will likely discuss ways to promote free trade, protect intellectual property rights and strengthen cooperation in advanced technology, the sources said. Kono is also planning to meet with Yang Jiechi, a member of the politburo of the Communist Party of China, and Premier Li Keqiang, the sources said. 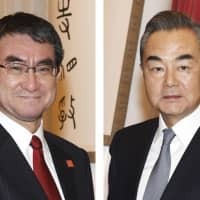 At the end of last year, China sounded out Japan on the possibility of Kono making a visit and holding the economic talks. The two nations have been seeking to set Kono’s visit between late March and early April.